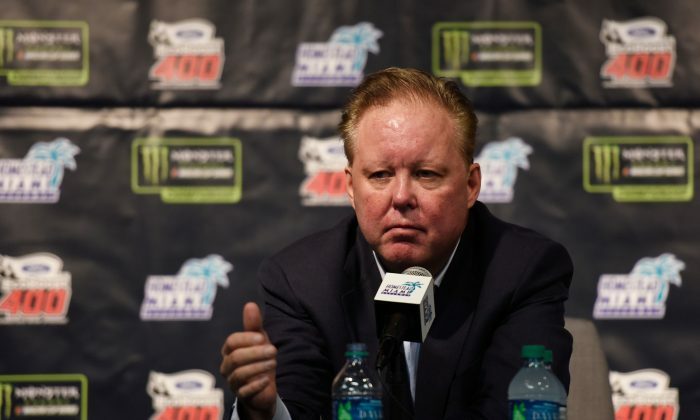 NASCAR CEO and chairman Brian France was arrested on Aug. 5 for a DUI, and officials added that he was found to be in possession of oxycodone. TMZ reported that France, 56, was stopped in Sag Harbor, New York, while driving a late-model Lexus. Police in the town said he ran through a stop light at 7:30 p.m. local time. Officers suspected he was intoxicated and carried out a field sobriety test, and France allegedly failed. According to the news release, he was held overnight and arraigned on Aug. 6 at the ag Harbor Village Justice Court. He was then released on his own recognizance. “We take this as a serious matter and will issue a statement after we have all of the facts,” the firm stated. France, 56, is the grandson of NASCAR founder William H.G. France. He took the CEO position in 2003, ESPN noted. Sag Harbor is a village within the towns of East Hampton and Southampton in Suffolk County, New York.